There are more than 1.9 bi llion smart home devices in the market today, and according to BI Intelligence, there will be 9 billion by 2018. And now your home phone is one of them. 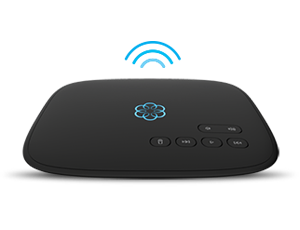 Ooma Telo now integrates with popular connected devices and services including Apple Watch, Android Wear, Philips Hue, WeMo, LIFX light bulbs and Dropbox, in addition to Ooma’s current integrations with Nest. Caller-ID on your wrist: Incoming calls on your Ooma Telo generate a real-time push notification of the caller-ID on your Apple Watch, Android Wear, or other iOS and Android devices. Visual alerts let the lights do the talking: Identify known callers and avoid interruptions by setting up visual call alerts on your existing lamps using a WeMo smart plug, or on your Philips Hue light bulbs. Enable a more illuminated life: With LIFX Wi-Fi enabled LED smart bulbs, you can create customized visual call alerts, such as blinking green for known callers and red for unknown numbers. Voicemail notifications: Receive a push notification on your iOS or Android devices when you receive a new voicemail, or get a visual alert on your Philips Hue, WeMo or LIFX light bulbs. Voicemail archiving: Automatically save voicemails to your Dropbox account. 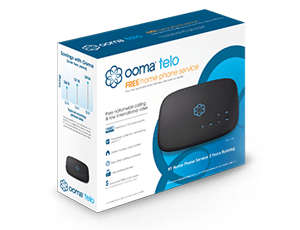 The new integrations complement the Ooma Telo’s integration with the Nest Protect Smoke + Carbon Monoxide™ alarm and Nest Learning Thermostat™, which have made homes safer by making it possible for a home phone to call homeowners when an event is detected, with the option to immediately connect them with local emergency services using their home phone number and address. Ooma enables the integrations through a partnership with IFTTT, a free web-based service that allows consumers to creatively control their favorite products and apps to perform functions based on conditional statements. To sign up for IFTTT and connect Ooma with hundreds of apps and devices, go to http://my.ooma.com/apps or visit http://ifttt.com/ooma – happy connecting!